With Christmas fast approaching Roger and Penny are going full steam ahead making up their handmade Christmas wreaths. 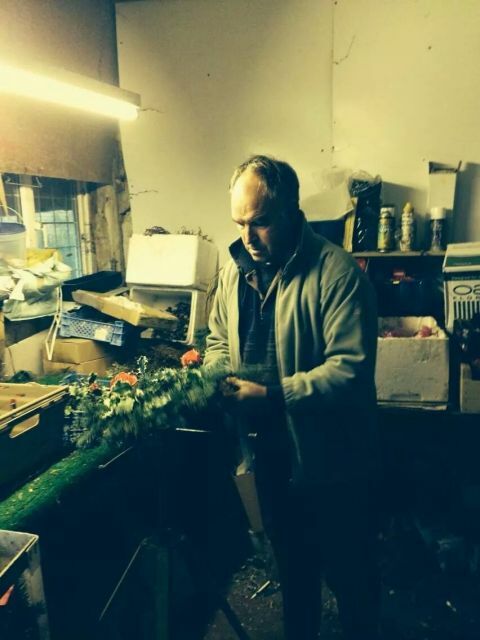 Roger’s working into the night making up the Christmas wreaths with his own fair hands, ready for Framlingham Market every Tuesday and Saturday. 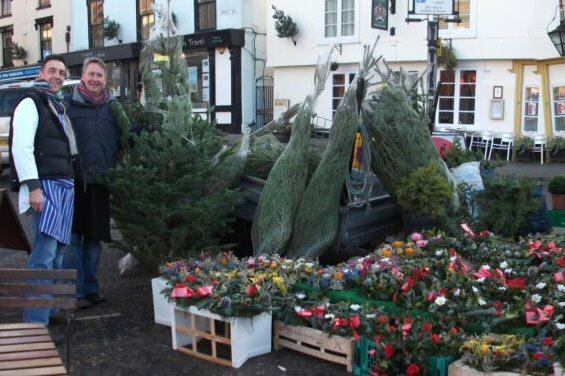 Roger will also have a good selection of real traditional Christmas trees and his usual supply of home grown produce. Roger grows much of his seasonal produce on his nursery, or it is locally sourced where ever possible. He stocks fresh vegetables and fruit, and a range of cut flowers. He also stocks vegetable plants, bedding plants & a varied selection of garden plants and shrubs.